I had to get out of the house, and take a break from the Finn yesterday. Somebody forgot to tell me what a full-time job it is to raise a cow dog indoors and train him to be at least a little bit civilized. We have a long way to go. Medical problems with family in Houston and Weslaco, Texas, don’t make the static any less in my attic either. The Clyde story for Drake magazine is in the can, editor approved and endorsed — and that helps clear the charged air. The burden of what I saw in Rockport and Port A did lead me to “put my money where my mouth is” so to speak. I applied for two FEMA photography job openings, one in Houston and the other in Corpus Christi, Texas. Does a 56-year-old white male stand a chance? Hell no, but I just keep trying for some strange reason (you photographer-readers hurry to the .GOV site now and apply!). If you are FEMA connected, how about a little real help here? I ran a post on the Texas Fishing Forum – Hurricane Harvey on TFF – discussion boards, and guess what? There’s no discussion on the disaster, and as of this writing, not a single comment. I now pause to scratch my head and wonder … Is there something wrong with these folks, or is it me? It is pretty obvious I am still jazzed by the adrenalin of photojournalism. Heck, I chased a house fire the other day on instinct. And I felt the adrenalin kick in just a little … actually, it felt good to roll back to my professional zero, where my photographic journey began. Why not start over? We do it almost every time we fly fish – on a small and large scale, don’t we? Every cast is a new beginning. Every change of fly starts us casting in the same spot we last casted. One day there are fish, the next they are gone. For example, yesterday I had to run the boat, and went with a map that had popped up on the website Texas Fishing Forum over the last couple of days. It had pins for sand bass (deep) on Lake Ray Roberts. I went for one pin, and criss-crossed it using my electronics during what should have been sand bass primetime. Winds were near zero, so navigation was incredibly simple just south of a Wolf Island point. Nada. So to beat the dark I made the run back to the Sanger Boat Ramp to work the submerged road. 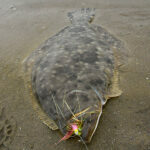 Low-and-behold, about ten minutes before dark the sand bass appeared in two feet of water and deep in a nearby cove – by the hundreds. Large sand bass every cast. So today, I will be doing a sundowner there (kayakers come join the armada! ), and boxing a few of these tasty tacos to feed the family. Text me if you need directions. It is a very short paddle. I have room on board for one. Come Saturday? 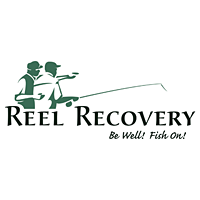 I will be giving back some time to Reel Recovery. I will attend the Glen Rose event to photograph attendees and facilitators all day long Saturday, and if you are involved in any way with Texas Reel Recovery (the National organization expressed disinterest in my photography – to help them with their identity Nationally), I was the receiver of that much-needed service last year, and I appreciate all you facilitators do, your own personal sacrifices to make these events possible. Regardless of the National organization’s response to my photography (I carried the camera last year as a participant and did write a story as well), on the Texas level I did receive many compliments on my work from the Texas folks. See you there.